Taking to the wet and windy Brighton seas, Avtrade swapped aircraft for Dragon Boats to compete in the 2016 Rockinghorse Dragon Boat Race. Avtrade raised £890 for Brighton based children’s charity Rockinghorse, which raises money for life-saving and cutting edge medical equipment, while ensuring that children are treated in an environment better suited to their needs. 14 teams from businesses across the county battled it out on the Marina water to be crowned the 2016 champions. 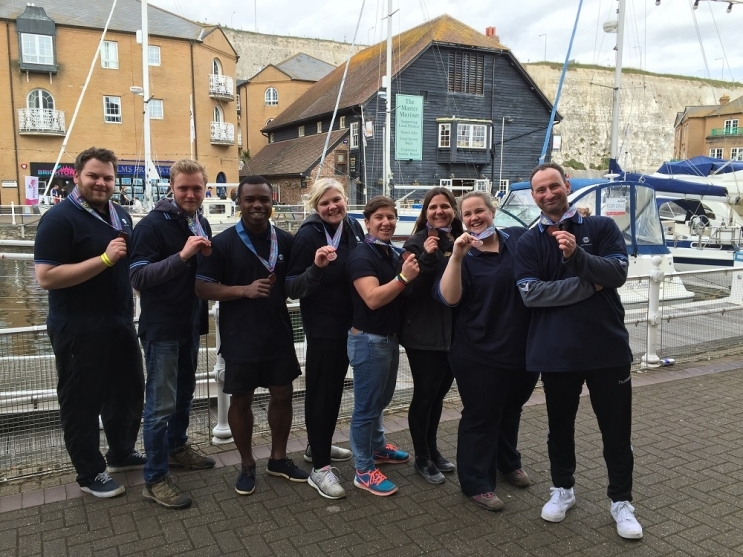 Despite the slightly cold and overcast weather, Avtrade’s team ‘Plane Sailing’ managed to paddle their way into the finals and scoop the bronze medal in a fiercely contested final race! Avtrade would like to thank The Rockinghorse Appeal for organising a fantastic day and to all our friends and suppliers who sponsored the team. Avtrade were pleased to attend and support such an inspirational and worthy cause which collectively helped to raise over £20000 through sponsorship and donations raised on the day. Participation in this event continues Avtrade commitment to supporting local causes and charities.